The death of under-age party-goer Regane MacColl, 17, who collapsed in the Arches nightclub on the 2nd February and later died in hospital, has forced management to take harsh action against young revellers by making the club an over 21 venue only. The schoolgirl is reported to have taken a red ‘mortal kombat’ ecstasy pill with a distinctive dragon stamp on it. Four more drug related incidents saw two 18 year old males, one 19 year old female and one 27-year old male admitted to hospital over that weekend. Police Scotland contacted licensing chiefs following the tragedy requesting a review of their license and management stated that raising the age limit would ensure a safer clubbing environment. Pills, swedgers, eccies, sweeties, disco biscuits; whatever you want to call them our generation has a problem with the synthetic psychoactive drug ecstasy whose chemical name is Methylenedioxymethamphetamine (MDMA). Ecstasy is sold as pills or powder and is commonly adulterated with amphetamines (speed), cocaine, caffeine other many substances. Essentially there is no way of knowing what it contains. Formally the rave drug of choice in the 80s and 90s, ecstasy raises the body temperature and produces feelings of excitement, energy and connection amongst consumers. It is typically associated with dance music and has been used by ravers to keep dancing into the small hours for decades. The danger is that the tablets in circulation in the UK today are much stronger than their predecessors, with unpredictable potencies and ingredients which make their effects hard to measure. Dozens of deaths in the UK have been linked to PMA which can be up to ten times stronger than ecstasy. It was the PMA content which caused a scare last year relating to a lethal batch of Green Rolex pills and festival goers at T in the Park were greeted with huge signs at the arena entrance warning against the deadly pills. Yet despite the numerous deaths caused last year, consumption of ecstasy is still rife amongst young people. Similarly, there is no way of knowing how your body will react to the temperature and psychological changes ecstasy produces. The tragic death of Regane has raised awareness of how young drug-takers are but it doesn’t mean that those over 21 are innocent. If anything, those who have been exposed to the clubbing culture longer are more likely to have come into contact with the illicit substances associated with it;yet it is the younger people who are being punished. With or without the ban young people are clearly still exposed to these substances and if they aren’t consuming them in a safe, well stewarded environment with medical staff on hand, they are likely to be doing it somewhere else. Clearly there is an urgent necessity for monitoring of ecstasy tablet content and easily accessible information for the young people who are becoming involved in its use. Drug testing stations in clubs have been proposed as one solution. This was suggested by the former owner of Subclub (once voted the tenth best club in the world) but could only work if certain drugs were decriminalised. 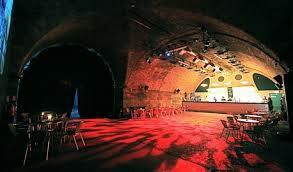 As a Fresher in Glasgow, the Arches was one of the first clubs I attended regularly and it is a shame that new students will now be deprived of the stunning venue setting under central station whose cavernous brick halls provide fantastic acoustics and make for a unforgettable night out. Under 21s with tickets for upcoming events have been asked to return to them box office where they will be given a full refund and one new safety measure in place is staff with water backpacks who walk through the crowds, providing water to anyone who looks worse for the wear. March’s first Pressure event was described as having ‘airport security’ as music fans endured a long wait whilst sniffer dogs and policemen with torches patrolled the queue. Formally one of Glasgow’s most popular clubbing venues, the change in age limit has been met with outrage by both under and over 21s but due to the tragic nature of the incident, it is clear that management felt something drastic had to be done. (This article was published in our print edition in March 2014, although the Arches have since reversed their decision to raise its entry age to 21, all information was correct at the time of publication). Posted in Features and tagged clubbing, party drugs, The Arches. Bookmark the permalink.